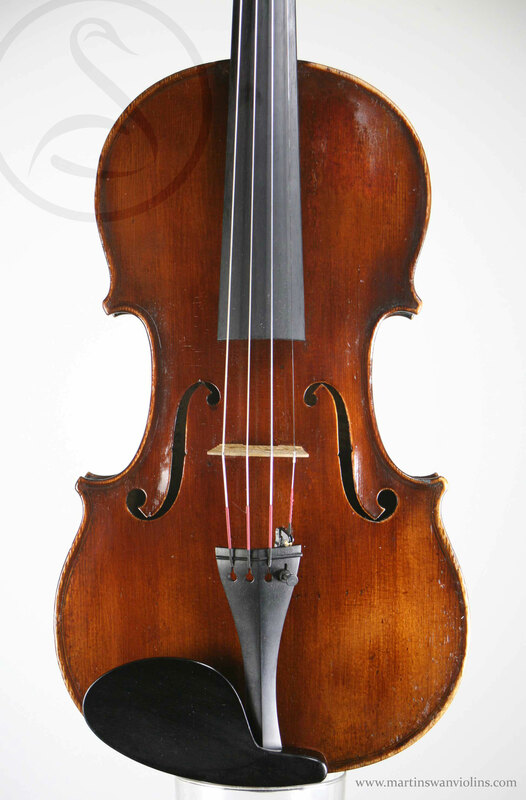 The Chanot family have been hugely influential in the history of violin-making, both in France and in England. Georges Chanot II was sent to England by his father in order to stop him misbehaving in Paris – it definitely worked, and he became a consummate and very successful maker. 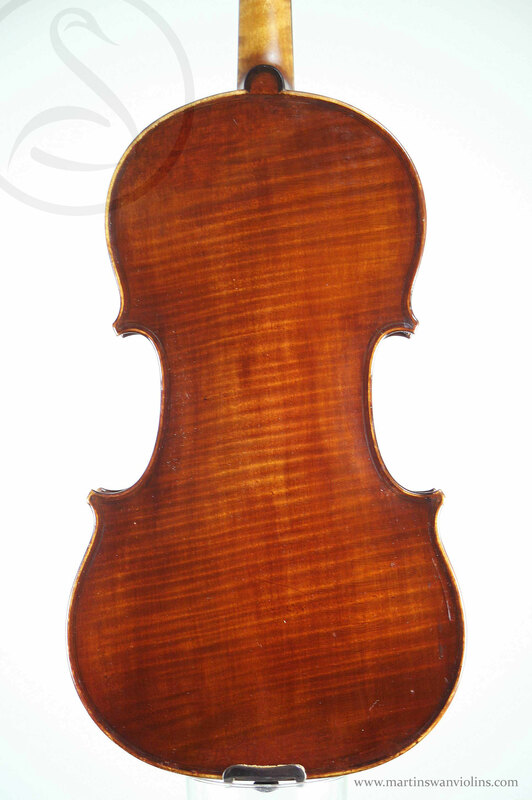 Is this a French violin or an English violin? Hard to say! 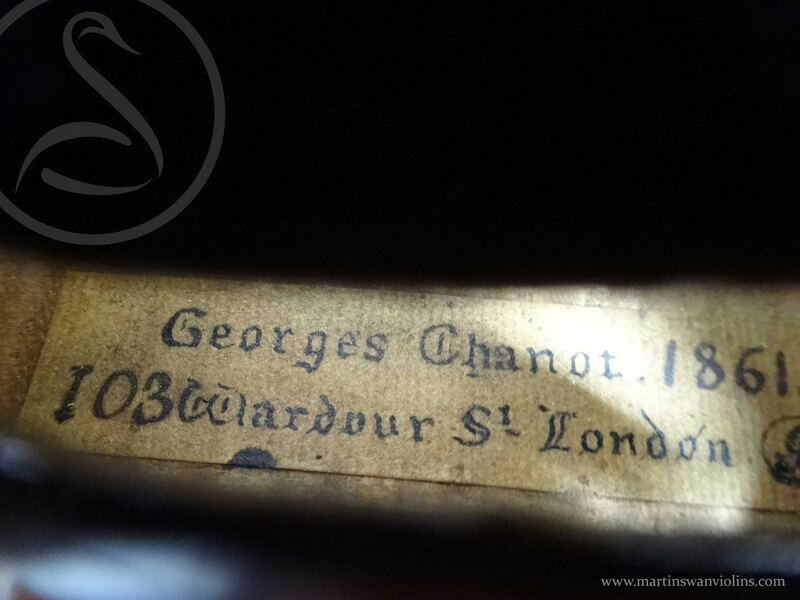 It was made in London, but Chanot himself was French, and had come to London ten years earlier to work alongside fellow Frenchman Charles Maucotel. This violin is very firmly in the French tradition, broadly speaking a Messiah Strad copy. 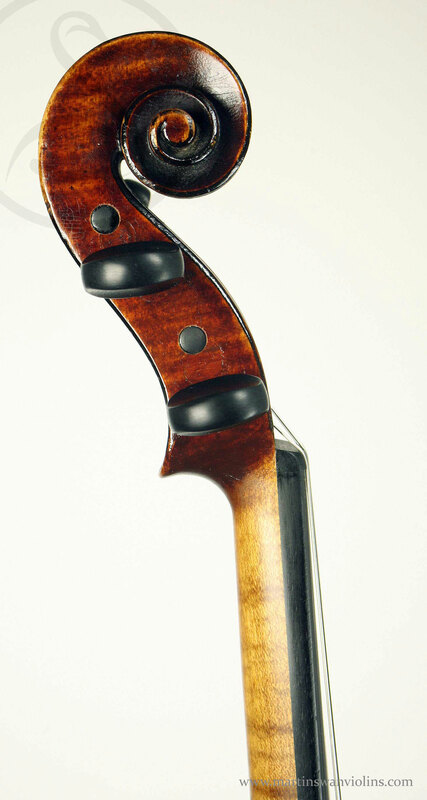 It has a typical dark nut-brown varnish all but masking some very fine violin wood. The scroll is superb, and every detail of this instrument oozes quality. The condition is very good, though it came to us in very worn condition and some areas of varnish have been restored. There’s also a new wafer of wood laid in superficially to the right of the fingerboard where a previous owner’s nails had wrought a degree of havoc. The scroll has been grafted onto a new neck (the original was perilously thin), but there are no cracks or repairs of any kind on the body. 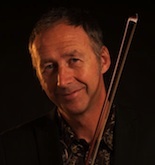 I was “switched on” to the Chanots a couple of years ago, and have had exceptional violins by the father of Georges II (Georges Chanot I) and by his son (Joseph Antony Chanot). 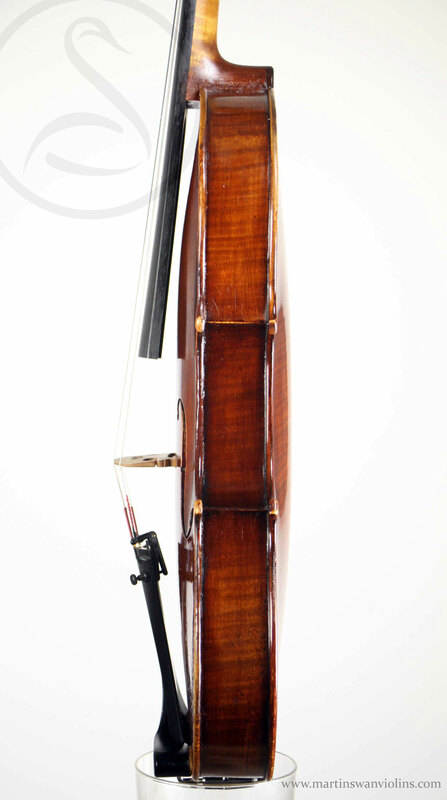 This particular violin is a super example. The sound is excellent, very big and quite dark but with clarity and bite. It has great response, it’s easy to play, smooth and enveloping, but it really packs a punch. Perfectly set up, very comfortable, impossible to overplay, in every way a great violin for a demanding professional who wants a big, bold and mature sound.